Kinect is a much underrated gaming tool but thankfully The Virtual Air Guitar Company are on a mission to get all gamers kinecting – one game at a time. 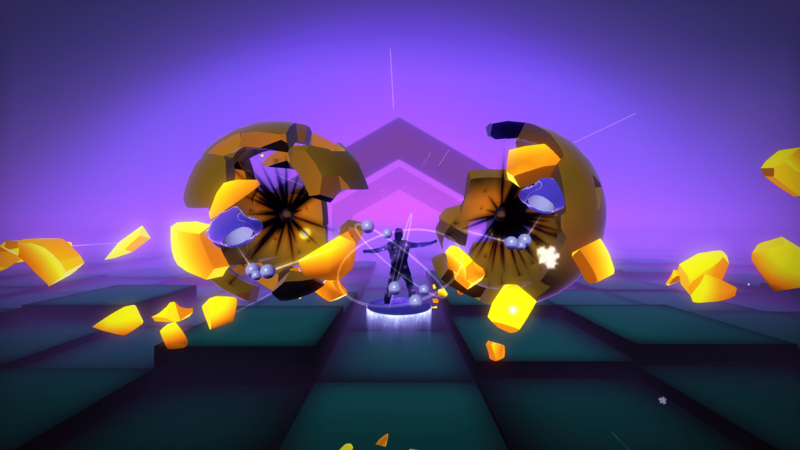 Their latest title, Beatsplosion for Kinect is now available for download. Available right now for £9.99, Beatsplosion tests your inner ninja requesting you to smash blocks and crystals in time to a number of addictive backing tracks. A single player only affair, if you feel the need to test your strength against the best assassins in the business then a number of online leaderboards are in place to allow you to do so. Head on over to the Xbox One Games Store should you wish to sharpen your ninja skills. Alternatively, you could try and win one of a number of codes we are giving away. Details coming up right here. Step through Kinect into the crazy world of subatomic particles. Move to the beat of the music, punch your way through quarks and neutrinos, and smash everything into smithereens! Daily use may result in getting seriously fit! Earn higher skill belts to unlock new levels that challenge your rhythm and coordination. Get your sweat on as the tempo increases, and pit yourself against the epic black belt challenge at a blazing speed of 200 bpm! Get up and make stuff ‘splode!